One of the most popular attractions in Pattaya at the moment is the Pattaya Floating Market. 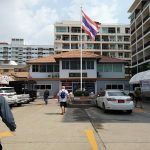 It opened in 2008 to much fan fare and has continued to be a popular tourist attraction with the millions of visitors landing in Pattaya every year. The complex now covers over 62 acres of land, comprising of a man made river system and lake and large numbers of wooden buildings built in Traditional Thai architecture. The concept was a simple one, to create the feeling of the old world Thai Style floating markets that used to be ubiquitous throughout the country before its modernization. 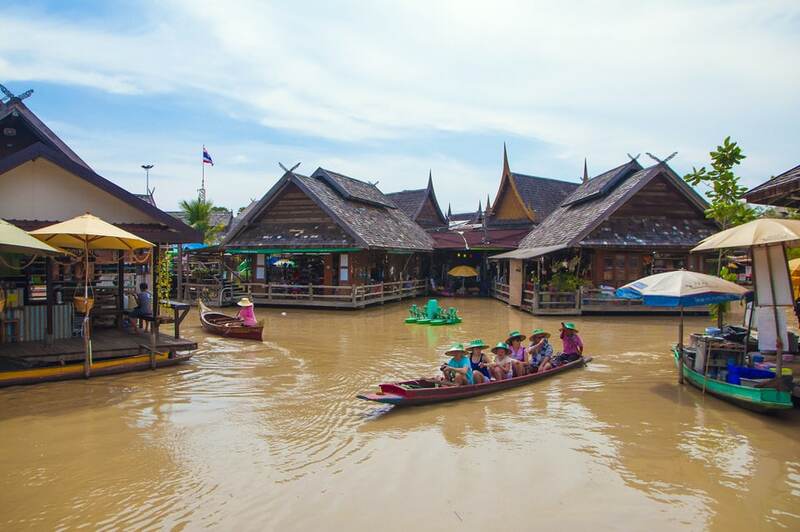 Unlike the traditional Damnoen Saduak floating market outside Bangkok, the Pattaya Floating Market was built from the ground up to be a tourist attraction. The people behind this site have done a wonderful job of capturing the essence of the floating market and providing a fun place for travelers to spend a half day exploring. There are three main things that people gravitate toward when they come to the Pattaya Floating Market: the food, the shows, and the old world feel. You’ll find yourself spending hours wandering around the complex and taking in all that it has to offer. There is a huge selection of food choices available around the floating market. You’ll find vendors on boats selling everything from nuts and coconut macaroons to crocodile kabobs. On land you’ll find a variety of small food stalls selling traditional Thai food to ice cream. If you see a boat vendor selling something you might like to try, make sure and get it while you see them. They often cast off and move their boats to different parts of the market and you can spend a lot of time looking for them when you are finally ready to try their Pad Thai. 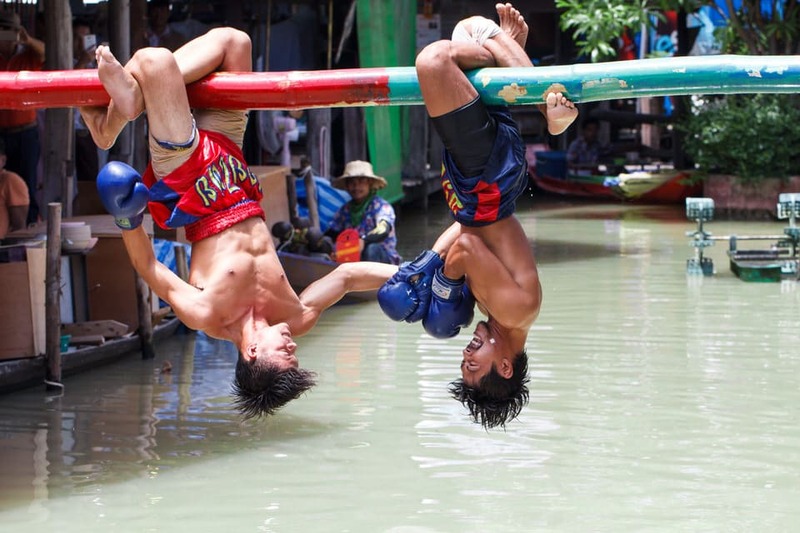 The Pattaya floating market puts on a variety of shows, usually in the afternoon. You’ll be able to see a traditional Thai dance and cultural show, sea boxing, and a monkey show, among others. They are fun and enjoyable to watch and well worth sticking around for. One of the key elements of the venue is the bringing together of the various traditional Thai cultures. The North, North East, Central, and South are all represented in different areas. As you walk across the wooden bridges you are crossing from one area of Thailand to the next. Take a look around and sample some food and look at the various crafts on display from the different regions. If you want to experience some more modern forms of activities, there is a zip line on sit – called the Skywalker Sling Adventure. You may also want to try walking on water with their water ball attraction. This is where you get in an inflated plastic ball and roll across the water. If you want something a bit more laid back, consider hiring a boat for a half hour ride around the river. You can have them stop to take photos are buy things from any of the vendors without ever getting out of the boat. The Pattaya Floating Market entrance fee is 200 THB which is fairly reasonable. Make sure you bring enough to enjoy some food, rides, and maybe buy some tourist trinkets (souvenirs). 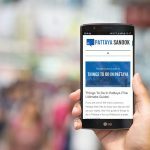 While the Pattaya Floating Market is definitely a tourist trap, it is also a great place to spend a half day wandering around and enjoying your time in Pattaya. 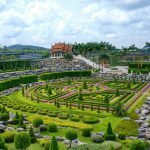 The varied food options is the top draw, but when you combine it with the Thai handy-crafts, shows, and the well put together setting, this is one of the more enjoyable day trips in Pattaya and worth a visit. >>Check out the full list of Places To Visit in Pattaya for more day trip ideas. If you don’t have your own form of transportation, it is best to hire a baht bus or taxi. Arrange for them to take you there, wait, and bring you back to your hotel. The price will be based on the driver and your negation skills. Expect upwards of 200 Baht for a songthaew and more for a taxi. Image Credits: eakkaluktemwanich/Shutterstock.com, Jaruek Chairak/Shutterstock.com.